Started the week by picking up a new book - Silence: In the Age of Noise by Erling Kagge - and finished reading it the same day. The book itself wasn't quite what I had expected, which left me with some rating dilemmas upon finishing, but all in all I really enjoyed this non fiction title. Although the book wasn't quite what I had anticipated, it was definitely what I needed to read right now. Following on from the book, I spent most of my evening researching Erling Kagge, the writer, and what a fascinating man I find him to be. 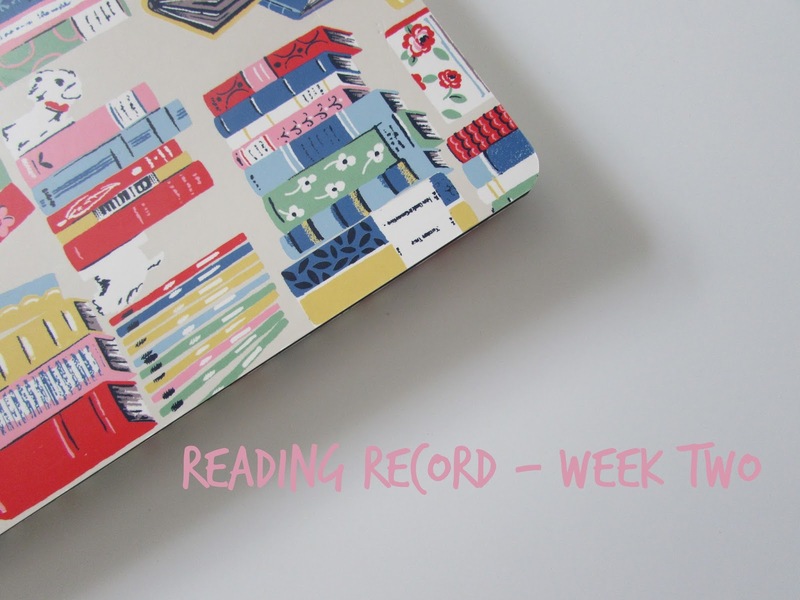 I found out that Bout of Books is taking place; somehow I had totally forgotten about the week long readathon! Sign ups were still open, so I promptly did that. I have no aims for the readathon specifically, just to read some good books and have fun within the bookish community. I tend to keep things pretty low key when it comes to readathons anyway. Feeling a little overwhelmed with bookish things... Well, I'm happy with the reading progress I've made so far this year but have felt a little behind on reviews. I don't review everything I read, however there are still some titles from the previous week that I know I want to review and have yet to jot any thoughts down about them. I don't want to be feeling stressed by blogging stuff, especially not this early in the year, and so had a little inner conversation with myself. The approach I took to blogging and books and reviews last year worked really well for me, so I'm carrying that mindset forward. Late in the evening I started reading Sky Chasers, the newest middle grade novel by Emma Carroll. Added 70 pages to the 78 pages I read the previous day of Sky Chasers. Alexander and I went to the library in the morning. We didn't get to stay too long as he is back at nursery in the afternoons now, but we spent a good chunk of time there and he came away with 10 new books. Dedicated some time to reading in the evening and completed Sky Chasers by Emma Carroll. I love the concept of the book and how wonderfully history & adventure were entwined. Today, twelve days into the new year, was the first in which I didn't pick up a single book... Other than Alexander's bedtime story. For a couple of days now I've been debating whether to DNF The Child Finder by Rene Denfeld... At this point I'm currently 40% of the way through, and with others titles I would definitely have put the book to one side now, however I had been highly anticipating The Child Finder and I think that's what has been stopping me from DNF'ing. After talking to a couple of others on Twitter about it, I ultimately DNF'ed... I do see myself returning to this book; I think now isn't the right time for me to read this story. Started reading Thin Air by Michelle Paver. Read some more of Thin Air by Michelle Paver today; glad to have picked up this atmospheric read. As I mentioned at the beginning of this post, I am pretty low key when it comes to readathons, however I feel like I didn't really even participate this time round. I don't know if maybe I wasn't in the frame of mind, having forgotten about the event, however if you did take part in Bout of Books 21 then I hope you had an amazing week! The Alex Bell book you read definitely sounds a lot different! I still haven't finished The Polar Bear Explorers' Club yet, but I'm getting there! I LOVE the cover also! Sky Chasers looks fun! And I've never done a Bout of Books... one of these days. Bout of Books is a lot of fun, especially as it is a week long challenge so a little less of a commitment than some readathons... You should give it ago some time! It's tough to find that balance where you are enjoying blogging without feeling like it's another thing to check off your list. Did you get books at the library this week or just your little guy? I can sometimes browse the shelves a bit when I take my older son, but I usually place holds on all my books so I can focus on the little one and just grab them on the way out! I know, right?! I'm also finding the 'to read or to blog' decision a challenging one so far... As my lack of regular posting shows, to read is the winner there! No library books for me this week... It is definitely too had to focus on books for myself with Alexander to contend with too. Haha! That's too bad about The Child Finder - especially since it was highly anticipated. Though I'd say at 40% you definitely gave it more than enough time to hook you. I always forget about Bout of Books until the last minute and even then I don't get it together enough to actually participate. Have a great week! I didn't know if 40% was too much of a commitment to then abandon, as other times I tend to reach about 20% before DNF'ing. Not every book is for everyone though!